Circles, cycles, repetition, routine | Runner. Writer. Renegade. Running is all about circles and cycles, repetition and routine. No one factor is as consistently successful as consistency. In fact, lifetime mileage is an often-talked about part of a runner’s peak ability. There’s even a 100k club for those who, like Amby Burfoot, have logged six-digit mileage over the years. My running career is nowhere near that figure. Since 2006, I’m at maybe 15,000. After being injured, I’ve been training consistently for nearly three years again, although nowhere near my previous volume. Because, while running regularity is key to racing success, that doesn’t always line up with real life. But, like in real life, running follows cycles. Lots of cycles — training cycles, seasonal cycles, work cycles, holiday cycles … You get the idea. Sometimes, those cycles bring you back where you started. In September, I signed up for the Gaslight 5k, a nice 500-person race close to my house. It’s also the first race I ever ran, seven years ago. When I ran Gaslight in 2006, I had just completed the couch-to-5k plan. I was still in college, I had only marginally ever been an athlete of any sort, and I thought a mile was an infinitely long way to run. That year, my goal was to run under 30 minutes. I really had no idea how I might do, because I hadn’t actually tried to run three miles nonstop yet. I picked it because it was a nice, round number. I don’t think I even had a Timex watch, let alone a Garmin. It rained, of course. I overdressed. I didn’t know anything about nutrition or bibs or racing ettiquette. I got passed by children, by jogging strollers, by people 50 years my senior. I don’t remember how I felt during the race. Probably bad. But what I can tell you is how darn excited I was when I crossed the line. Suddenly, I went from not knowing if I could finish to thinking I was a rockstar. I seriously ran home, changed clothes and went back for the awards because I thought I might have won something. I didn’t. Undeterred, I dropped three minutes in the next three months and kept improving. But once I got hurt in 2010 — my infamous stress fracture/hamstring strain combo, if you’ve missed previous columns — that downward slope stopped. In fact, since my “comeback” began, I was really having trouble getting under 21 minutes. I also wasn’t doing any speedwork, which generally doesn’t help your 5k time. This summer, I embarked on a 12-week 5k training plan, but ended up not running my goal race. Gaslight was about six weeks later, and I had dropped short speedwork for marathon training. 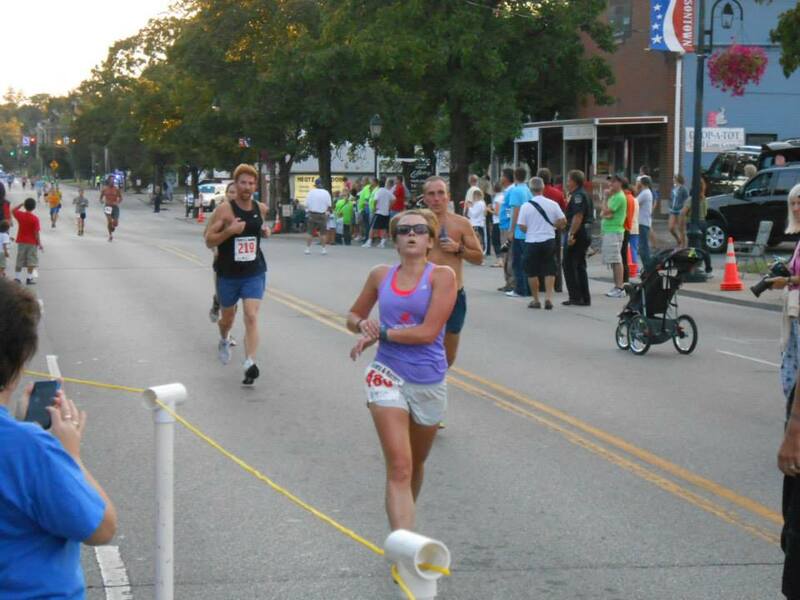 I figured I’d run Gaslight this year in about 20:30, what I ran at another race in June. I went out a little fast with a nice downhill first half-mile, fell a little flat in mile two but caught another woman, then ran strong the third mile and caught another woman at the three-mile mark. At just past three miles, I could see the clock. And it was still in the 19s! Granted, even red-lining the last tenth, I couldn’t get under 20, but I was close. Seven years. Seven minutes. Many cycles, many miles. ← Are relays the perfect way to race with your friends?